Factor Therapeutics Limited, formerly Tissue Therapies Limited, is a biotechnology company. The Company's principal activities include the development and commercialization of its intellectual property in wound care. Australischer Marktbericht vom 6. 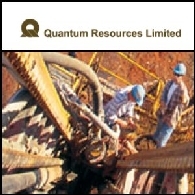 Oktober 2010 inkludiert: Quantum Resources Limited (ASX:QUR) Gardner Range Explorationsprogramm ist auf dem Weg; Tissue Therapies Limited (ASX:TIS) wurde ein drittes "core" Patent in VitroGro(R) gewährt; International Finance Corporation legt sich auf weitere Investitionen in Gryphon Minerals Limited (ASX:GRY) fest; Bohrergebnisse von Alkane Resources Limited (ASX:ALK) bestätigen den Fortbestand von Goldmineralisierung in NSW.